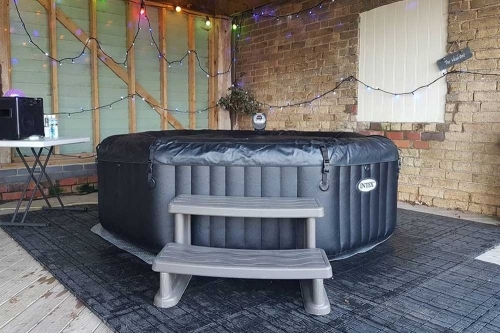 Doncaster hot tub hire and marquee rental service, we are Splash hot tubs hire a family run business whom strive for perfection every time. we will provide you with all the necessary equipment to have a party / event that you will remember forever. We hire / rent hot tubs and party disco tents in Doncaster and the surrounding areas browse our website to find out more. Deluxe HOT TUB with massage jets Marquee Flooring Delivery set-up and collection Relax in Your own hot tub for the weekend.